A POP — phrasal overlap portmanteau — combining the clipped compound mani-pedi (a manicure plus a pedicure; see here) and the compound pedicab ‘pedal-operated taxi’. Another chapter in Zippy’s playful morphology, notably with -ity: seriosity and goofiosity. (The names Mrs. Decaf and Mr. Groundnuts are a bonus.) The laughter uh-hyuk is true cartoonish Goofiness: a quote from the Disney character Goofy. The strip exploits the ambiguity of toast as a noun (delightfully, to my mind). But, astonishingly, the two nouns (though clearly quite distinct in modern English, as are the corresponding verbs) have a common historical source. The tale is one of those stories that might make you believe in any damn fanciful etymology. Much to appreciate here, including “the artist known as William Shakespeare” (featuring Baby Huey) and Latvia invading New Jersey (both Baby Huey and Latvia appear every so often in Zippy the Pinhead). And in the last panel, a dead tree comic strip called Willy-Nilly. The kids have found /fri/, apparently the item free, in frittata, which leaves them with the mystery — but presumably meaningful — element tata. A demi-eggcorn on the hoof. 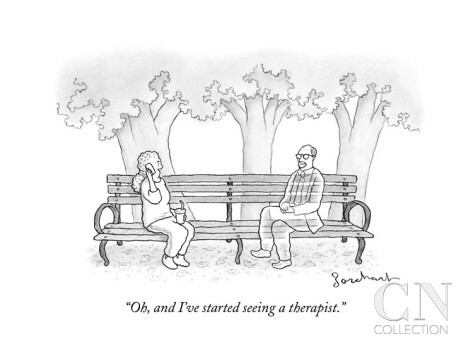 Earlier today: a David Borchart New Yorker cartoon with an entertaining ambiguity, #2 here. Borchart’s first appearance on this blog, though he’s a prolific cartoonist. Now another Borchart with some linguistic interest, plus one that just tickles me. 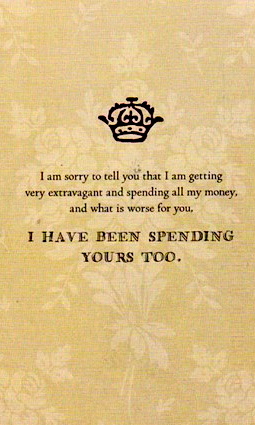 From a letter of April 18, 1811, from Jane to her elder sister Cassandra. Two potato preparations often offered as alternative side dishes for breakfasts in American diners and the like: Would you like hash browns or home fries with that? Both have idiomatic names, names that in fact are easily confused: both are browned by pan-frying, so the words browns and fries have some motivation in their names, while hash and home are simply puzzling. 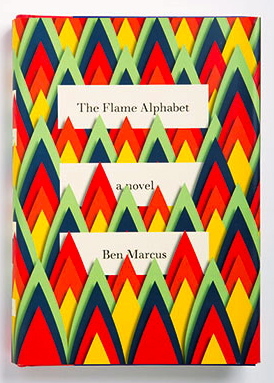 You may not know his name, but chances are you already own some of Peter Mendelsund’s work. The 46-year-old designer of iconic book jackets for top-shelf authors both living (Martin Amis) and dead (James Joyce) is celebrated in this month’s Cover (powerHouse, $60; out August 5), a retrospective of his greatest hits. He’s also publishing his first book, What We See When We Read (Vintage, $17; out August 5), a philosophical exploration of the literary imagination. Here, he shares the stories behind some of his standouts. Despite the title of the Details piece, the creators of book covers are not referred to as artists, at least in art circles, where they are designers or illustrators. They provide artwork (art for short) — designs or illustrations — for commercial purposes and so they are normally outside the world of art criticism and art exhibits (“Art art”, you might say), except on special occasions, when applied (as opposed to fine) art, craftwork, folk art, street art, outsider art, etc. are granted attention in shows, catalogs, and the like. You are currently browsing the Arnold Zwicky's Blog blog archives for July, 2014.